branding legalized marijuana in the conservative Western Slope. Emerge Farms brands itself as a one-stop shop for everything that you may need to start legally growing Marijuana in the state of Colorado. While the trade has experienced tremendous success along the Front Range urban corridor, more rural and conservative parts of the state still struggle with the idea of growing and selling "the devil's lettuce." On the whole, Marijuana branding is thoroughly unoriginal—especially among retail locations. Green? Leaf? Check. Though while it may be unoriginal, it convincingly does its job. However, the "leafy green" approach wasn't going to hold its weight in areas that were still averse to Marijuana being legal in their communities. Keeping those things in mind, the identity for Emerge Farms instead revolves around pillars and values that ring true for residents of the Western Slope. Agriculture. Community. Patriotism. The mark itself features an E and F comprised of three distinct bars or lines. Meant to abstractly represent rows of crops and farming, the subtle swoops and curves also provide a sense of motion which help to allude to imagery of the flag. 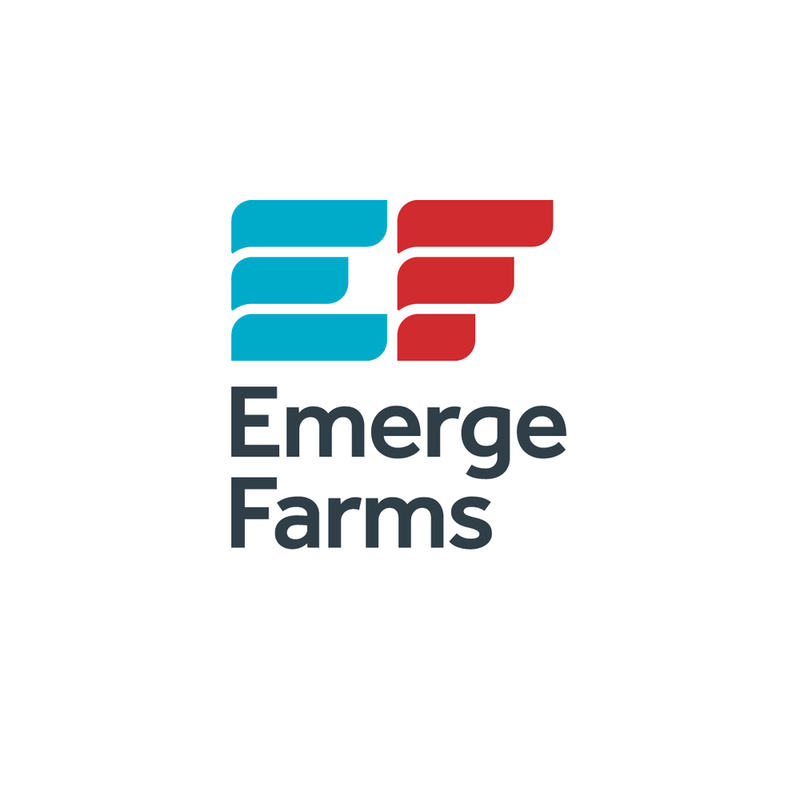 The absence of traditional Marijuana-themed references provide a strong down-home feeling which makes the subject matter much more appropriate for the communities in which Emerge Farms chose to house its operations. 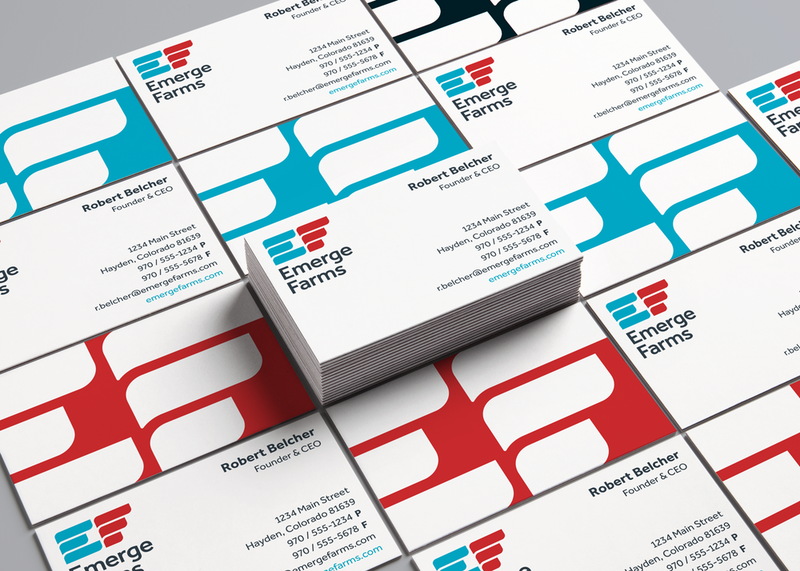 Several orientations of the mark exist to allow for flexibility throughout the collateral. An underlying structure helps to provide a sense of refinement to the mark and text together, matching heights and widths without the proportions of the two elements ever changing scale. The layout of the stationery set is inspired by the contemporary geometrics of the mark and logotype. Corners are thoughtfully utilized to help create an appropriate amount of visual tension by leaving white space while also pushing the mark full-bleed. These layout choices help to provide a sense of refinement and trust to the overall brand and identity. Both a web page design and promotional patches serve as extensions of the overall brand look and feel.